Garage doors can be installed in your home to make your living environment completely different. Seeing garage doors in an expected environment and viewing one with a different perspective may create ideas in your mind that you won’t be able to get out! 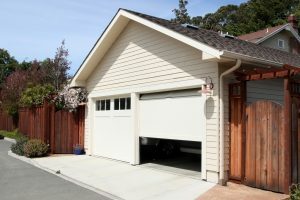 Previously, we gave you some ideas on how you can improve your home by incorporating garage doors differently in your home. Here are some great ways you can transform your home by using garage doors. These doors tilt outward before they lift up, aligning with the ceiling once it is completely open. While this swing out feature requires clearance and extra space, it can provide you with an experience you may want to take advantage of. 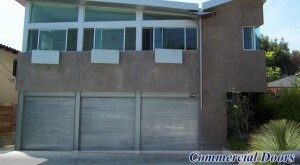 An Up & Over garage door could be exactly what you need in your living room to open your life up to the outside world. Single panel doors that lift straight up into a vaulted ceiling can offer a more unique interior decoration as well as an improved style of living. If you have the space, add a couple vertical single panel garage doors to welcome in fresh air, sunshine and life! We’ve seen garage doors like this used to enter out onto patios and decks. This makes for a perfect evening relaxing with friends. Does this sound like something you want to learn more about? Contact us today to learn how our garage door services technicians can incorporate garage doors in an unusual way in your home.